S.P.A.M. 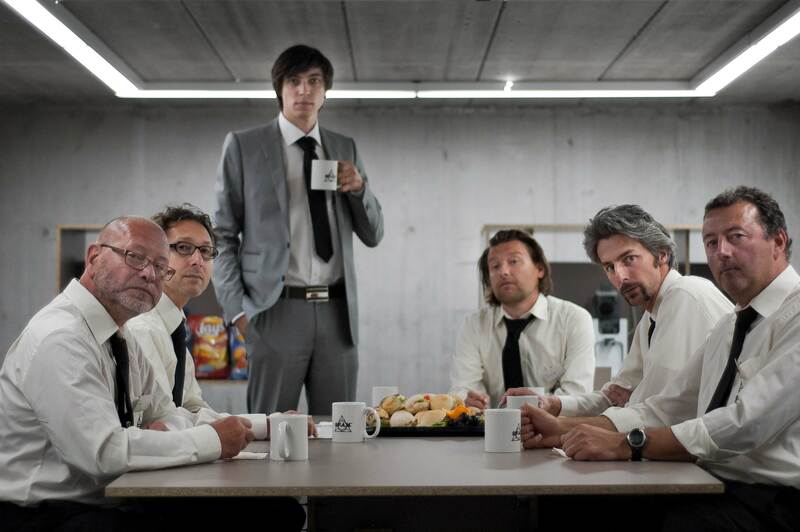 OFFICE is the first UK exhibition by Belgian artist Pieterjan Ginckels. S.P.A.M. OFFICE appears to be a traditional modernist office setting; uniform office furniture has been made from cheap, low quality materials. S.P.A.M. Officers check e-mails, detect spam, print and file content in the S.P.A.M. Archive, poetically supporting the decorum of bureaucracy. They wear the uniform and logo of the ‘firm’, and monotonously disarm the spam to which the office is subjected. S.P.A.M. Officers become performers but also work for the artist. The officers’ selections and archiving of spam messages enables Pieterjan Ginckels to reproduce the content and context of spam in his artworks. The exhibition’s audience is invited to forward all their spam email to s-p-a-m@live.com, as well as to come and watch the office at work. The performance of S.P.A.M. 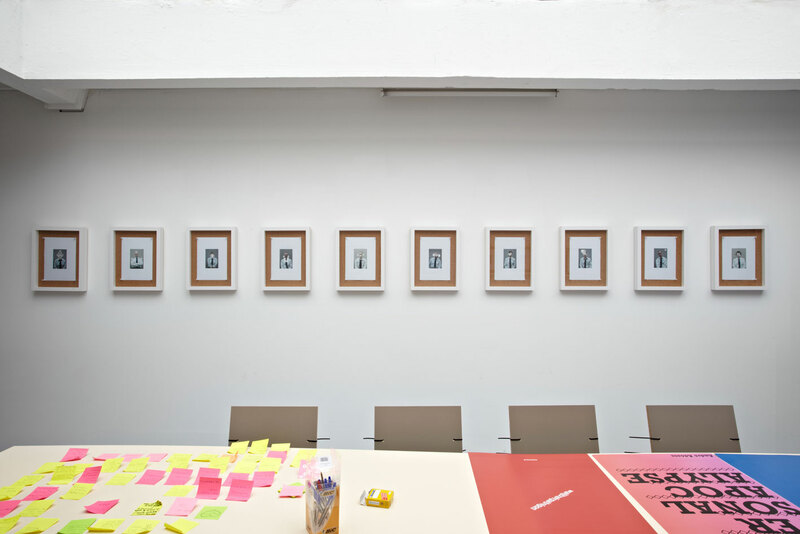 OFFICE was organised at Be-Part Center for Contemporary Art, Waregem, Belgium, (May 7th till May 15th 2011) and has been documented in the S.P.A.M. BOOK, published by Art Paper Editions. S.P.A.M. 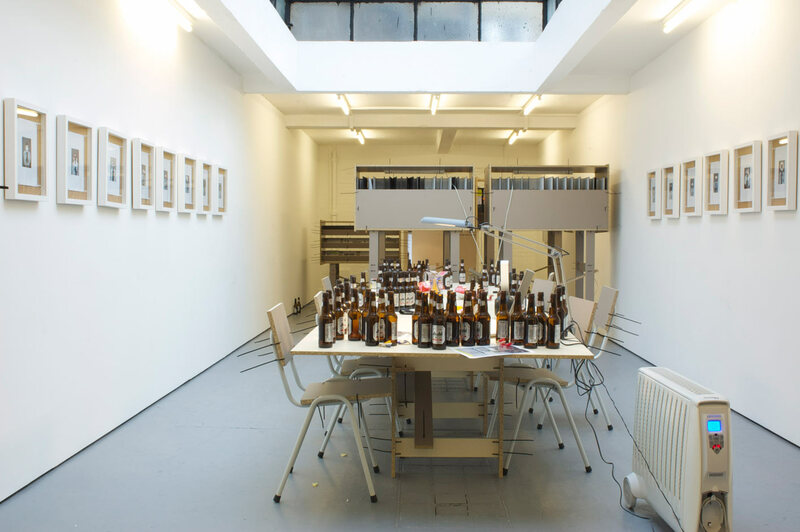 OFFICE at ANDOR represents Pieterjan Ginckels’ first exhibition in the UK. Born in 1982 Pieterjan Ginckels lives and works in Brussels. He received the Center for Fine Arts Award at the 2011 Young Belgian Painters Award and has recently delivered solo projects in Aachen, Amsterdam, Antwerp, Cologne, Heerlen and Oostende. Ginckels first designed his characteristic ‘families’ of artworks in ‘1000 Beats’ (first built in 2008) and ‘PISTE’ (2010): installations with pronounced circular, multi-layered and cooperative aspects that generate metaphors in sound and image. He is represented in Amsterdam by Galerie de Expeditie where his solo exhibition runs until the 22nd of February, coinciding with Art Rotterdam where he has been selected as the Artist in Focus for 2013.